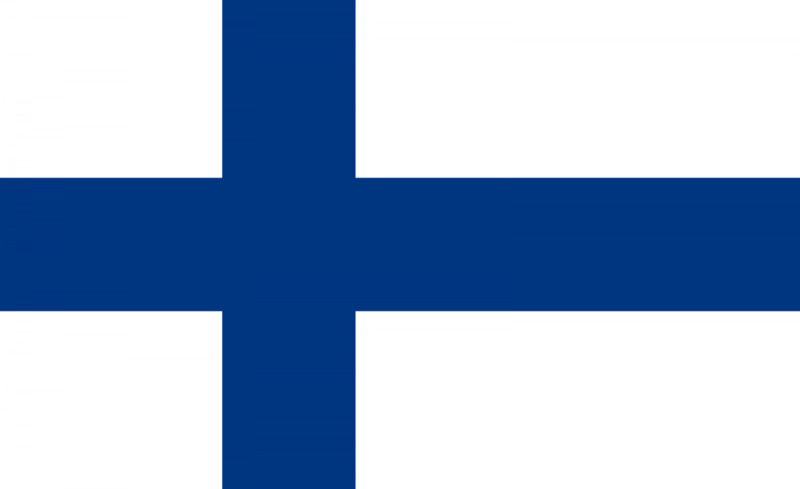 UPDATE: The Finnish Government has launched its third National Action Plan for a period of four years (2018-2021). It builds on Finland’s first NAP (for the period 2008-2011) and its second NAP (for the period 2012-2016). The third NAP includes recommendations from the Global Study on 1325 (2015), particularly on conflict prevention. Similar to the previous versions of the NAP, ministries and institutions that work in crisis management such as Crisis Management Centre Finland, Finnish Defense Forces, civil society organisations (CSOs) and experts from research institutions are responsible for the development and implementation of the 2018-2021 NAP. These same entities will form part of the follow-up group responsible for monitoring the implementation of the NAP. The updated Finnish NAP has four mainly externally-oriented objectives, including in Afghanistan, Kenya and Nepal, and serves to strengthen the meaningful participation of women in conflict prevention and peacebuilding, mainstream gender in security sector, and improve the protections of women and girls while strengthening conflict prevention. Even though Finland has no recent history of conflict, there are tensions around the Baltic Sea Region due to increased security threats caused by military exercises conducted by Russia. Finland has partnered up with the governments of Afghanistan, Kenya and Nepal to support their efforts in the implementation and follow-up of their WPS NAPs. Domestically and regionally, Finland works on the WPS Agenda through diplomacy, crisis management, development cooperation and humanitarian aid and other expert work and training with EU policy measures. The 2018-2021 NAP sheds light on the link between arms proliferation and women’s security and aims to incorporate a gender perspective into arms-control, disarmament and non-proliferation. However, the 2018-2021 NAP does not include earmarked funding, an allocated budget or an estimated budget. Finland’s WILPF section is no longer an active member of the 1325 Network and has not been involved in the development, evaluation, revision and implementation of the revised NAP. Finnish civil society along with civil society in crisis regions play an integral role in the development, implementation, follow-up and evaluation of the NAP. Just like the previous NAPs, civil society organisations along with specific ministries will be responsible for the implementation of the 2018-2021 NAP in accordance with the designated priorities and outcomes. Just like the previous NAPs, the 1325 Network of civil society played an active role in the updating of the NAP by lobbying for their recommendations to be taken into consideration during the development of creation of the 2018-2021 NAP. Civil society is also responsible for the implementation of the 2018-2021 NAP, including through submitting proposals and initiatives aimed at ensuring that the WPS Agenda is integrated into international and regional policies, strategies and activities. Representatives of civil society organisations participate in the monitoring and evaluation work of the follow-up group. The government actors involved in the development of the 2018-2021 NAP were the Ministry for Foreign Affairs, Crisis Management Centre Finland, and the Finnish Defense Forces. The Ministry of Foreign Relations, Ministry of National Defense, and the Ministry of Women and Gender Equity are responsible for the implementation of the 2018-2021 NAP. The overall monitoring and evaluation of the 2018-2021 NAP will be systematically monitored by the national follow-up group, which is led by the Ministry of Foreign Affairs. Within the national follow-up group, there are members of different ministries, agencies, civil society organisations and the research community. 1. Women play a more meaningful role and there is more emphasis on mainstreaming the gender perspective in mediation, peace processes and transition processes. 2. Women play a more meaningful role in conflict prevention and peacebuilding. 3. Mainstreaming of the gender perspective is more integrated into the security sector and crisis management. 4. Women and girls receive better protection, their rights are better safeguarded and their needs are better met during crises. 5. Finland promotes the objectives 1-4 in the policies, strategies and work of international and regional organisations and by encouraging the development of National Action Plans. Ensure the collection of good practices in the field to be used in mediation. The third NAP is to be implemented in a period of four years 2018-2021 (four years). Similar to the previous NAPs, the 2018-2021 NAP does not provide any allocated budget or an estimated budget. It does however mention that the central government must provide monetary support for civil society organisations’ 1325 work. There is no mention on the budget in reference to its general implementation. Finland raises awareness at international regional forums of women’s participation in mediation, peace and transition processes in all levels. The bodies responsible are: Ministry for Foreign Affairs, FCA, FELM and CMI. Lastly, women are increasingly present at the post-agreement implementation and monitoring phases in which Finland is involved. The Ministry for Foreign Affairs, FCA, FELM and CMI are also responsible. Similar to the previous NAPs, the national follow-up group will be responsible for the monitoring and evaluation of the 2018-2021 NAP. Detailed mid-term and final evaluation reports will be prepared by the follow-up group and the Ministry for Foreign Affairs. Unlike the previous NAPs, technical working groups will be created to address the different themes presented in the 2018-2021 NAP to ensure and facilitate cooperation, communication and reporting between the entities responsible for overall implementation. Based on these reports, the Ministry for Foreign Affairs will prepare an annual report to the Foreign Affairs Committee of Parliament with updates on the implementation of the NAP. The gender perspective has been incorporated into arms control, disarmament and non-proliferation at national and international levels. Finland promotes and supports the meaningful participation of women and women’s organisations in policy discussions and negotiations on arms control, disarmament and non-proliferation. The Ministry for Foreign Affairs will be responsible for this outcome.